← A Credit Report That is Really Free! When Mrs. BFTROU set up this blog, she chose the Atahualpa theme, mainly to experiment with it. One of our friends uses Atahualpa, so we figured it would be a good theme to use. Today, I got rid of it, and replaced it with a much simpler but less customizeable theme. Not so much because I didn’t like the theme, but because I just didn’t have the time or inclination to deal with the literally thousands of different customizations available with that theme. Plus the last batch of customizations made the site difficult to read. 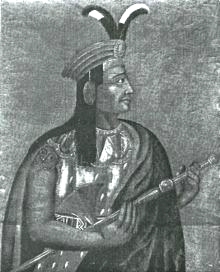 Atahualpa is probably GREAT for somebody who either has only one blog, or wants to use only Atahualpa on all his/her blogs. Otherwise, the sheer complexity of the theme will drive you nuts. If you have any suggestions for improvement in any aspect of this site, please feel free to comment below — or use the contact form if you don’t want to excoriate me publicly.